If a breakdown has put a wrench into your daily routine, get it fixed quickly and professionally at Action Muffler Radiator & Brakes. 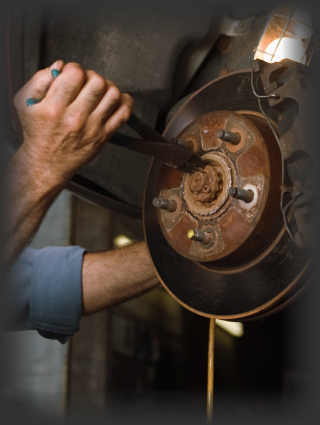 We are Edmonton’s source for reliable brake repairs, muffler repairs and auto repairs at fair prices. Using only the finest parts available, our licensed mechanics can fix everything, no matter what you’re driving. We are happy to do out-of-province and insurance inspections. From suspension repairs to preventative maintenance and custom exhaust work, Action Muffler Radiator & Brakes can do the job. With 3 locations in Edmonton, we’re bound to have a shop near you. At Action, you don’t need an appointment. We’ll do our best to work you in quickly and get you back on the road.